A public meeting was held in Llangefni on 5/7/1858 with the aim of trying to bring a railway the 14.75 miles from Gaerwen to Amlwch at an estimated cost of £150,000. A Bill was passed in parliament on 13th July 1863 and work on the line at a cost of £6000 per mile started. The project engineer was a Mr Colin MacKenzie but most of the labour force were local. The Anglesey Central Railway main line was extended from Gaerwen initially to Llanerchymedd by October 1864. 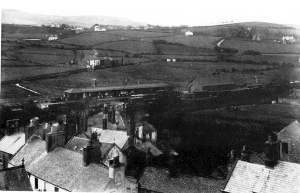 The first train left bangor for Llangefni on 16th December 1864 with 100 guests being entertained in the Bull inn in Llangefni. 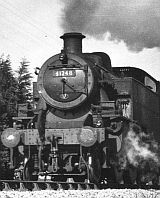 By 1st February 1866 the line had reached Llanerchymedd station while the first passenger train to Amlwch ran on 1st June 1867 (1s 5 1/2 D or 7.5p for the fare from Gaerwen) while freight had been allowed on the line from March of that year. In 1876 the Anglesey Central Line sold the railway to LNWR for £80,000 and some additional investment in the line took place. As part of this a loco shed and sidings were built at Amlwch and improvements to the main station took place in 1884. 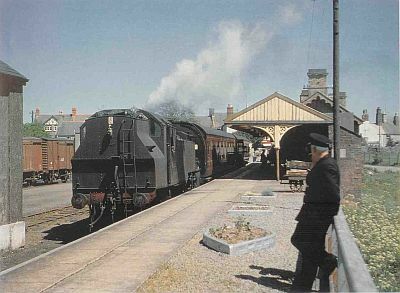 By 1910 they were providing six trains daily each way over the full branch with several others operating only as far as Llangefni. 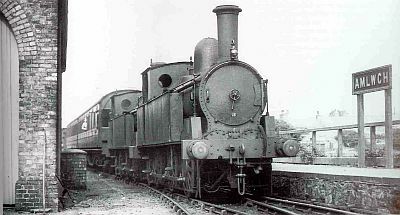 The loco shed at Amlwch was closed on 14th September 1930. 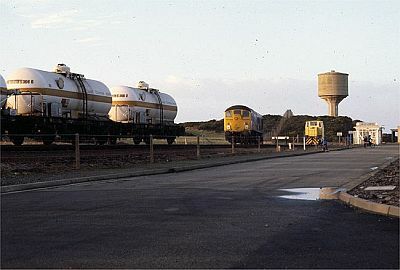 In the 1970s another private siding was constructed off the mine line between Rhos Goch and Amlwch to the Shell tank Farm which was used to store crude oil from the Shell Off shore mourning buoy before it’s transfer to the oil refinery at Elesmere port. The railway made it easier for the mine owners to get there produce to markets in the South of England. However the work at Morfu ddu was sold as was most of the rest of the mountain to Thomas Fanning Evans in 1884. He had already shown preference to using rail rather that ships, This continued but the extension of the rail down to Amlwch port did not occur. Some of the reduction in freight from the copper mines was taken up by the transport of artificial manure from the Hills fertilizer factory which continued for many years after the mine. 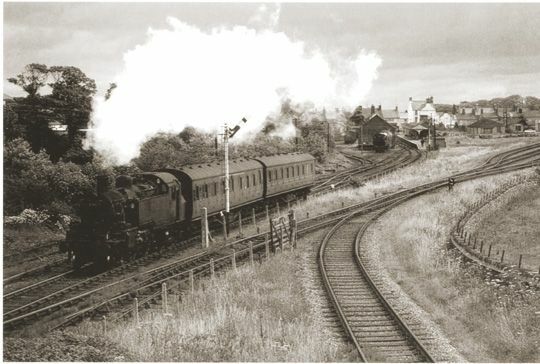 The railway continued to be used until “Beeching’s axe” closed the passenger line on 5/12/1964. In 1991 A charity called Isle of Anglesey Railways LTD was set up to try and reopen the line as a tourist attraction. In 1995 Anglesey County Council agreed in principle to buy the line for £250,000 and lease it to the Isle of Anglesey Railways Ltd. There were a number of delays but by April 2006 Network Rail agreed in principle to sell the whole line to Anglesey Central Railways. The Group hoped to have the lease by end of the year and, in due course, to open a five-mile section in the middle of the branch at Llanerchymedd, setting up their headquarters there. In 2010 talks were held between Network Rail, The Welsh Assembly and Ynys Mon Council over reopening which could lead to an hourly passenger service to Llangefni. However, progress was slow and in 2018 a large lorry crashed and damaged the rail bridge in Llangefni which had to be removed.